Do you already love Puerto Armuelles? Then you will want to check out Corazon de Oro. It is the most beautiful spot in the area. 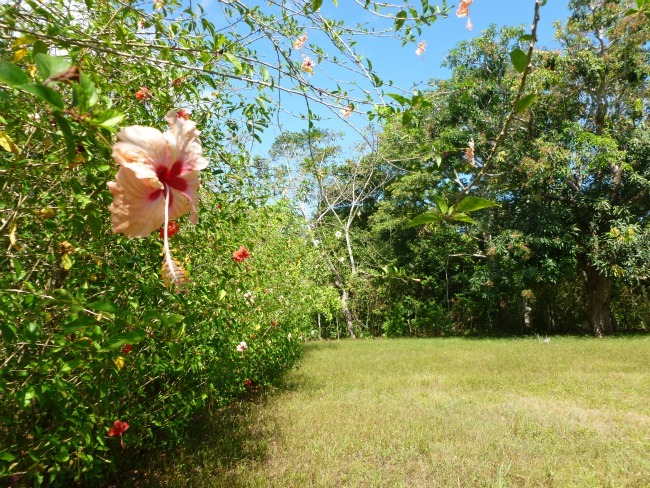 Everyone who visits raves about the beauty and tranquility they experience at Corazon de Oro. You really have to visit to fully appreciate the quiet serenity of Corazon de Oro. “Corazon de Oro” translates into English as “Heart of Gold”. Learn how to reserve your property for 60 days. 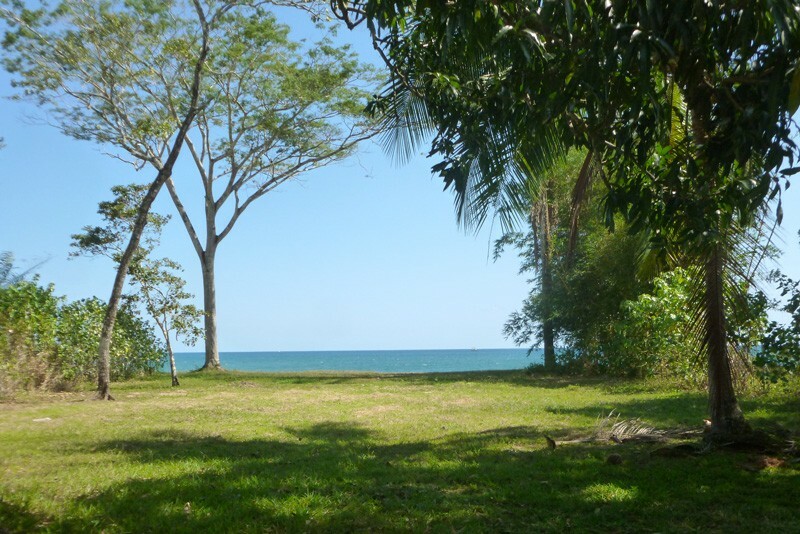 Corazon de Oro has a delightful beachfront area with 2 mango trees. 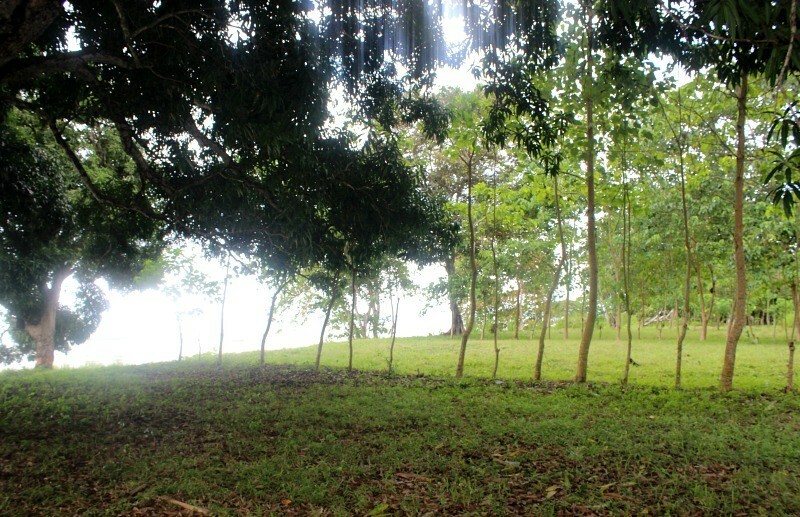 Everyone exclaims about how wonderful it is to enjoy the shade under these mango trees as they soak in the ocean view. This area is also known as lot 6 on the site plan. Many people have wanted to buy this lot and build a house. Each of them thinking they could keep the mango trees. But that would be impossible. 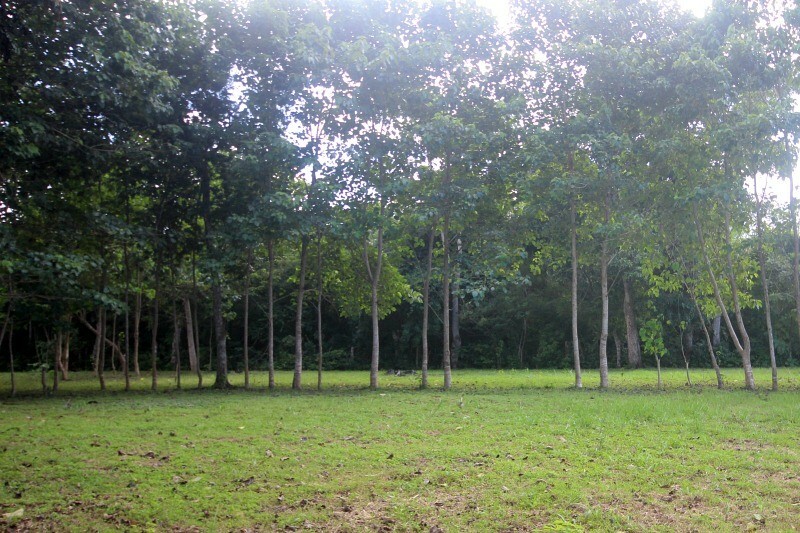 Our commitment to the quality of the Corazon de Oro community inspired us to take this lot off the market. That is why it is not for sale (NFS). This will be a community resource. Some place to gather. We anticipate it will have lounge chairs for everyone to enjoy and perhaps some hammocks and a rancho (gazebo). 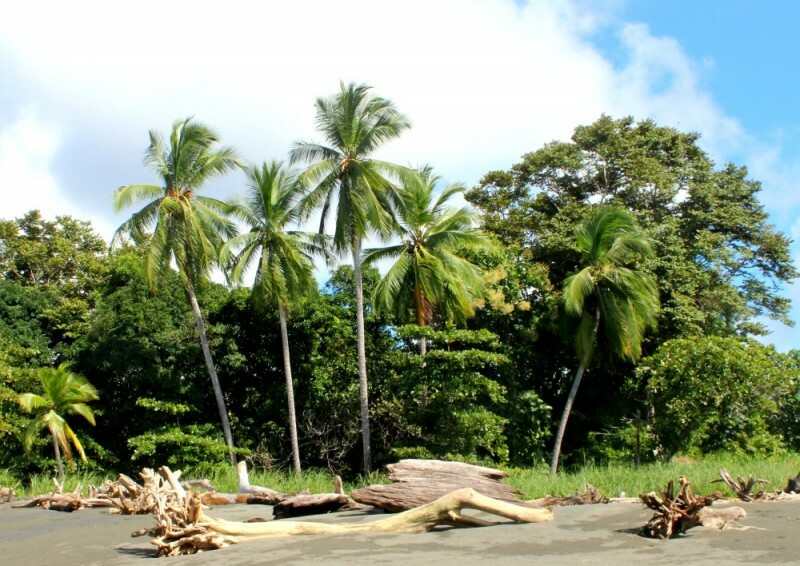 The mangos are next to the community’s beach access. This spot may not remain the permanent community spot. We anticipate creating some type of community gathering spot closer to the ocean. Our philosophy is that the beach belongs to everyone. Not just a few lucky beachfront property owners. Our goal is to have a community where everyone (beachfront & non-beachfront property owners) has full access to the beach. Therefore, we have designated a permanent 20 foot (6 meter) beach access path for the use of all property owners. This path is located between sites number 6 and 7, as indicated on the site plan. The entire shoreline of Corazon de Oro is strengthened and reinforced using the same successful method used in Australia. It is a grid network of tethered tires and further enforced vegetation such as beach grass. As I mention under Price below, this also allows you to safely and securely extend any of the beach front lots, per the legal limit (approx. 20′). 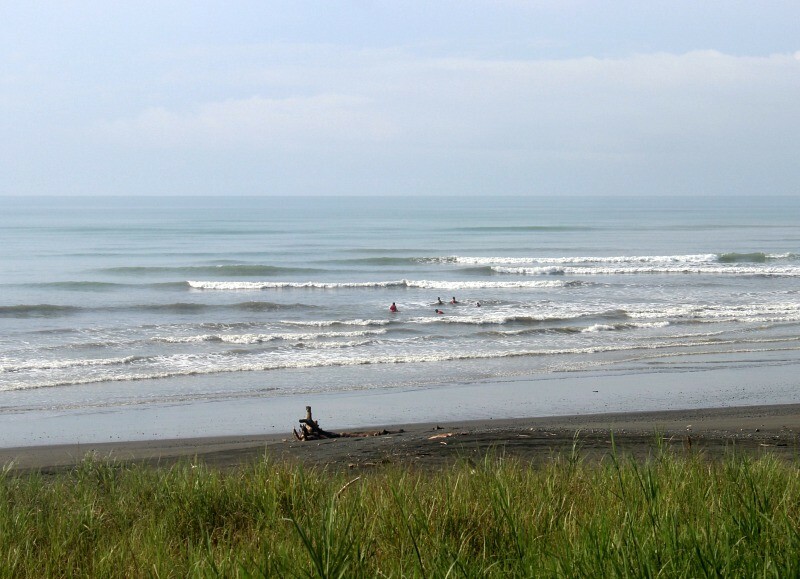 Corazon de Oro is only a 5 minute drive (10 minute bike ride) to downtown Puerto Armuelles. 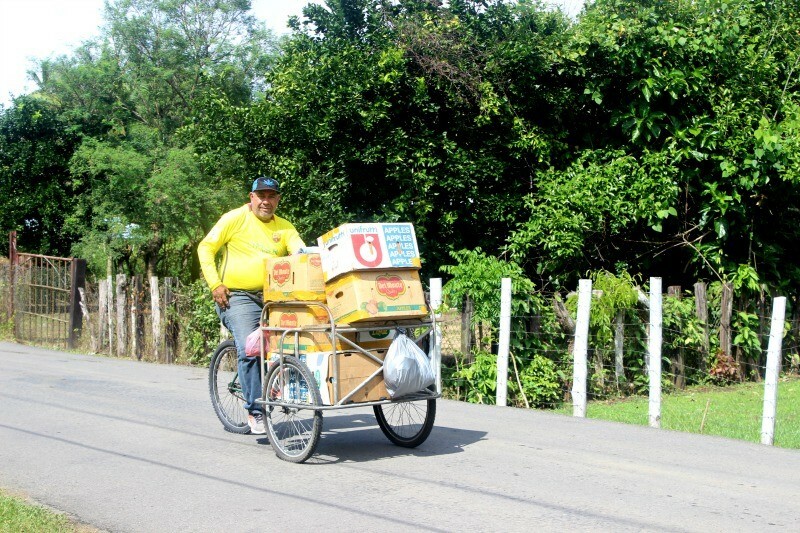 However, if you live in Corazon de Oro, you don’t have to go into town just to pick up milk or to eat in a restaurant. Tiny kiosk/tienda (store) about 100 yards from the entrance. It is run by a very friendly couple, Edith and Domingo. Breakfast, lunch (coffee anytime) cafe is run by Edith and her daughter. It is right next to their tienda. 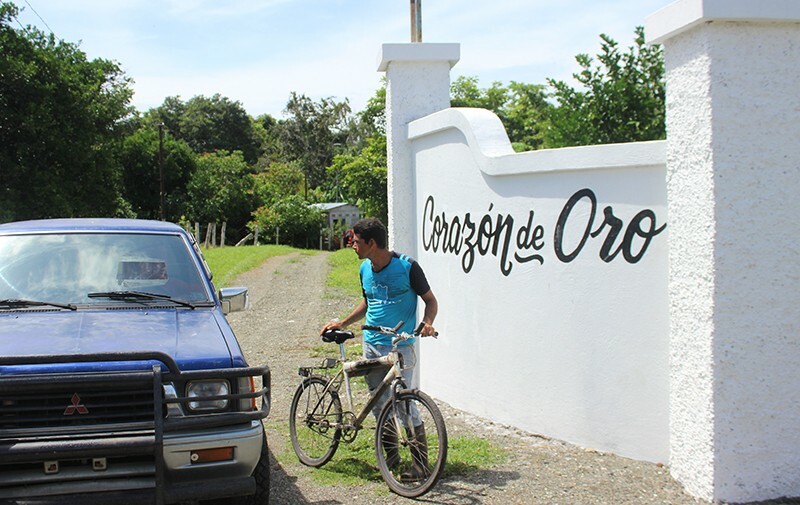 Although Corazon de Oro itself is a quiet beach refuge, it is not in the middle in nowhere. You can easily take care of your daily needs without having to spend much time on the road. Also, Corazon de Oro is further than 10K from the Costa Rica border, so Panama’s 10K rule does not apply to it. Find a price that fits your budget. 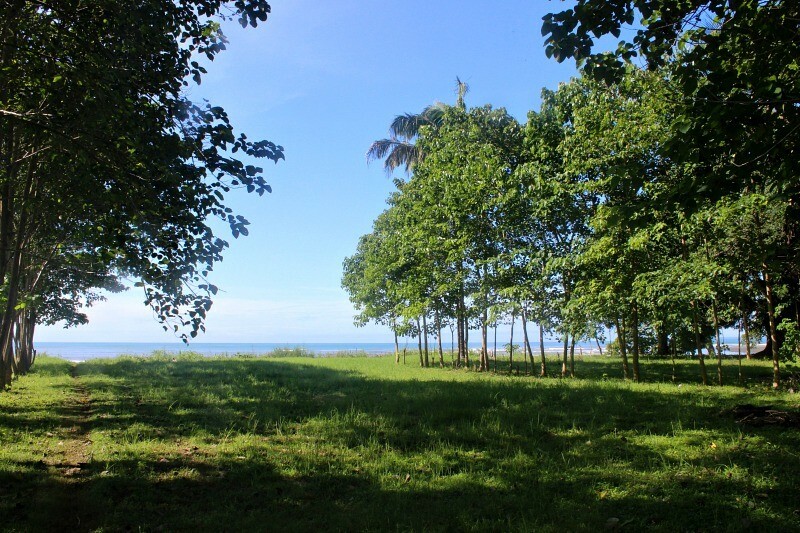 All the lots are beautiful and have full access to the beach. The house on lot 15 is a 1-bdrm model of Living In Panama House. If you have a beach vehicle, you can drive onto the beach. You could also bring your small watercraft, such as a Hobie Cat, down to the beach. At present, there is no concrete boat ramp, so boats with trailers would need to have beach tires. The property is on the downwind, down current side of a big sandbar. From January to May, you can anchor your small boat in this bay. 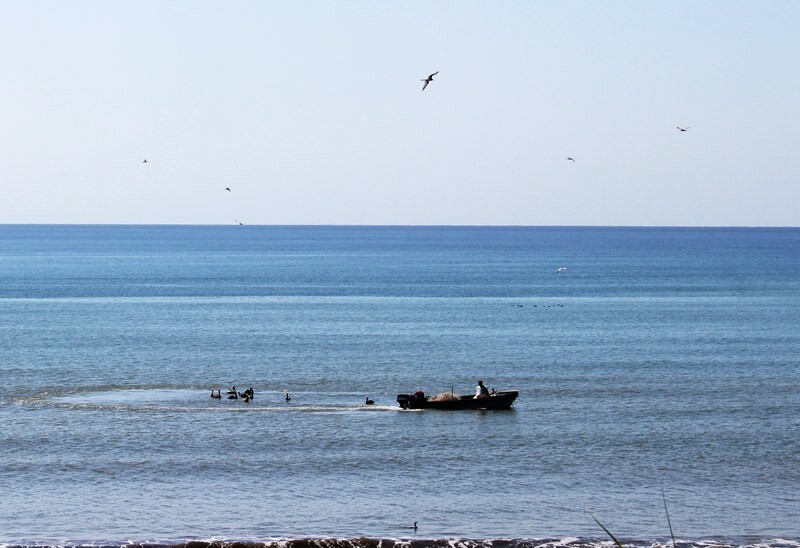 One of the photos below shows local fishermen doing just that. As the chart shows, there is a property at Corazon de Oro to fit for most budgets. Corazon de Oro has 19 beautiful properties: 9 beachfront and 13 near the beach. The beachfront lots have 55 to 60 feet of beachfront each. And they are large (about 60′ x 150′); deep enough for 2 houses on each. And these beachfront lots could be made larger! 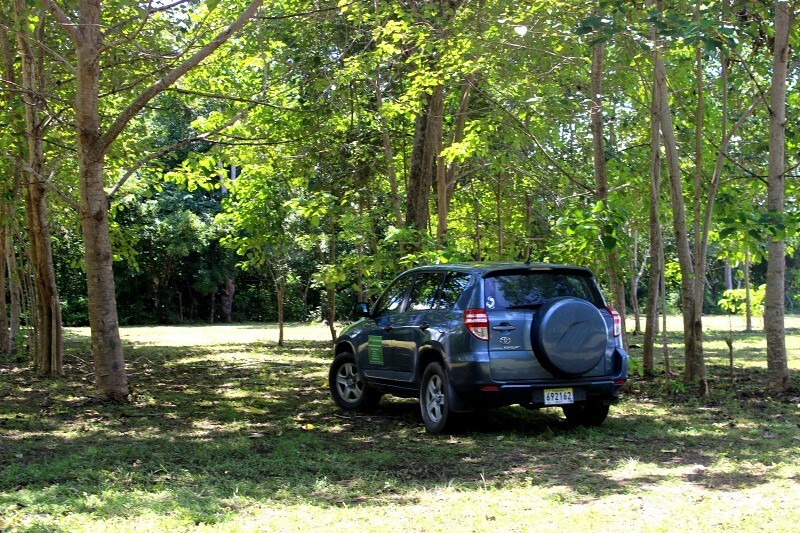 You can extend any beachfront lot until it is 22.5 meters from the median high tide line. You would need an engineer to come and tell you exactly where that point is for your lot. 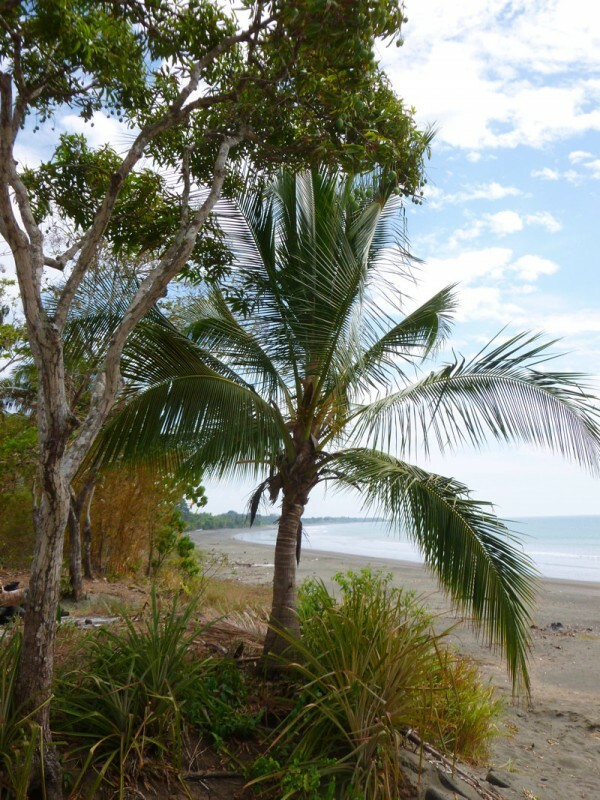 Our estimate is that you would be able to add approximately 20 feet to each of the beachfront lots. The cost to do so would be approximately $2000 @ $110 per truck of fill. As I mention under Shoreline Stability above, our shoreline is reinforced by the Australian method of a grid network of tethered tires. This means if you do extend your beachfront property, it will be on a stable foundation. 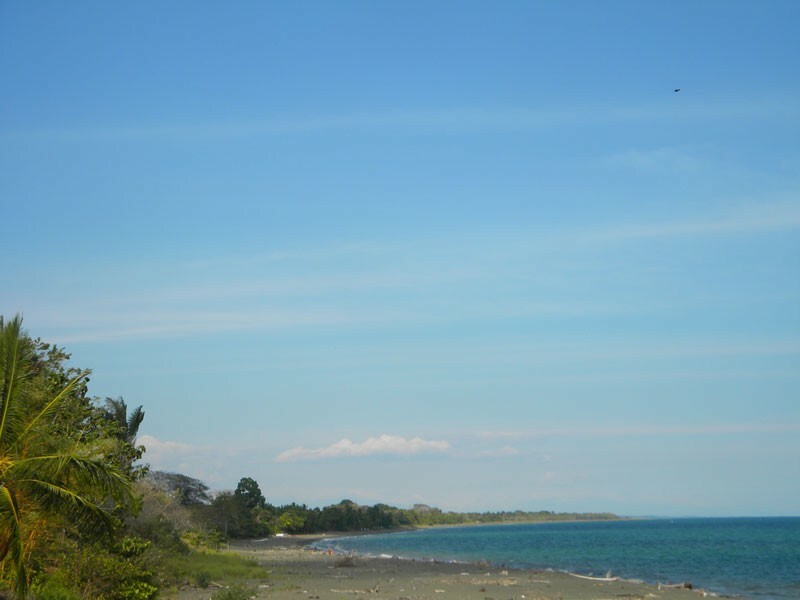 We are asking attractive prices for our beautiful beachfront lots. As you can see in the site plan, the other 13 lots are only a short stroll away from the beach. These attractive stroll-to-beach properties are priced to sell at $38,500 to 63,500 each. See the site plan & price chart for sizes & price for each lot. Some of the properties have already been sold. 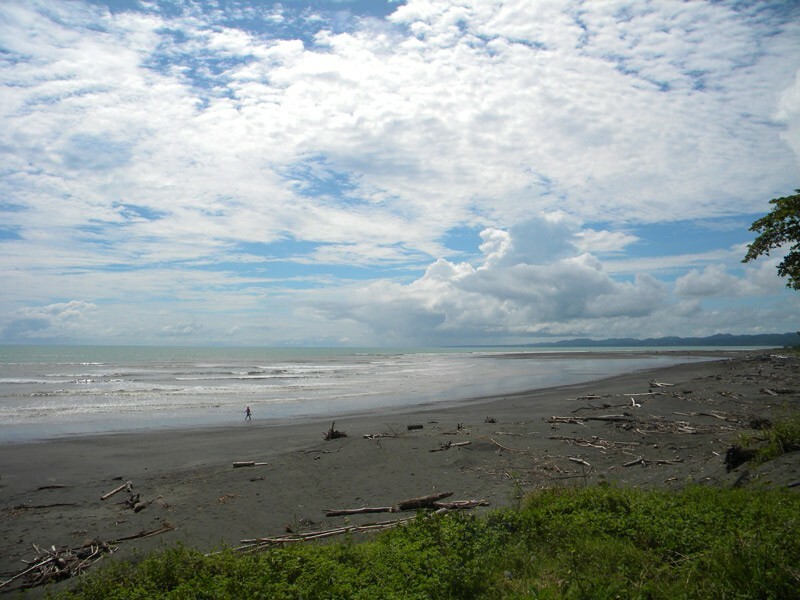 All the lots are beautiful and have full access to the beach. Which lot would you like? View from Lot 4 toward town. View of beach front lot 4. Beautiful. We are contemplating putting in a boat launch and storage facility at Corazon de Oro (see site plan). There certainly is the need for one in Puerto. In order to create a boat launch, we need to complete an environmental impact review and get all the proper maritime permits. Until that happens, we cannot guarantee such a project. However, small boat launching, using trailers with beach tires, is permitted. No permits or approvals are needed for launching a boat using that method. The bottom line is that market conditions are ripe for a marine facility in Puerto. We don’t need to do it ourselves, and we’d be happy to help someone else make it happen. 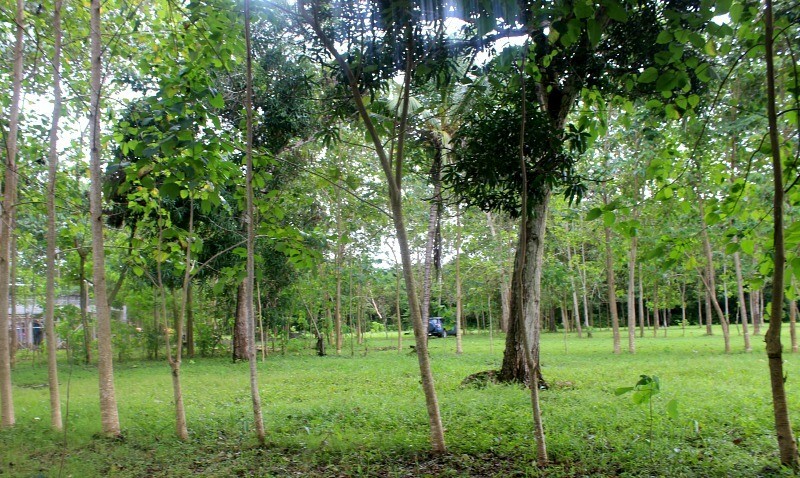 Have us build a Living In Panama House for you on any of our lots. This is the easiest way to have an affordable & well-designed home built on one of our Corazon de Oro properties. Your Living In Panama House will be ready 4 months from the start of construction. We make it affordable by leaving the finishes to you. We can also put you in contact with local contractors if you would like help you with those finishes. Find out more about our Living in Panama beach house here. Watch the video of initial stages of our smallest Living in Panama house being built here. This video also shows off part of the Corazon de Oro property as well. If you decide to build your own house, there are builders available to help you. We can help you get in touch with them. My husband, Reyn, had a successful design/build firm in Seattle for over 20 years. Reyn is happy to talk with you about your design/build options. 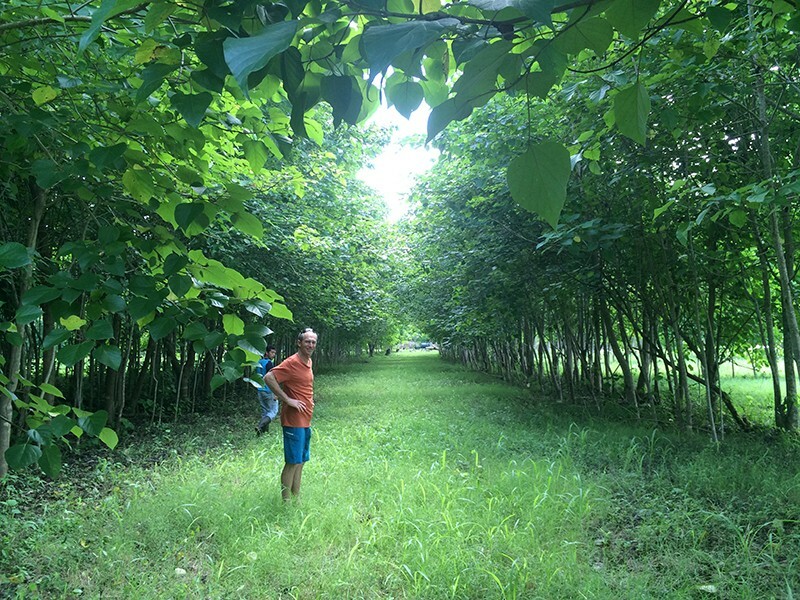 While you are not required to build a Living In Panama house on your Corazon de Oro lot, we do have some design guidelines that you must abide by. These are to ensure that the community keeps its value over time. We want to encourage a friendly and supportive community. For this reason, we do not allow high walls around properties that create a compound feel and block the views and breezes from other properties. Of course, you can construct fences/walls for privacy and security, but they must not block breezes and views. For the same reason, we discourage 2 story houses on the beachfront lots. If you want to see our design guidelines, please request them via our contact page. 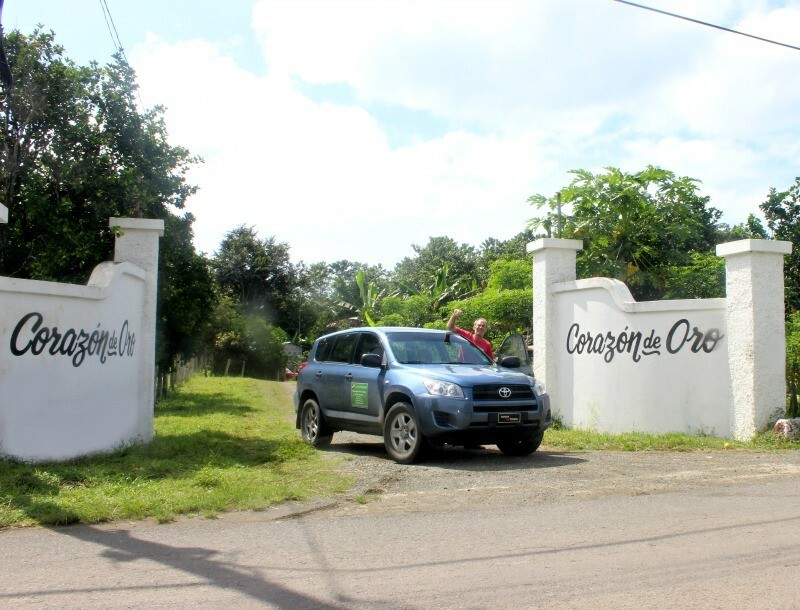 The Corazon de Oro property is in the process of titling. The title for your lot will be transferred to you – at no additional cost – when the process is complete. Come visit us in Puerto, and see if you agree. If any of these properties interest you, catch a plane to Panama. 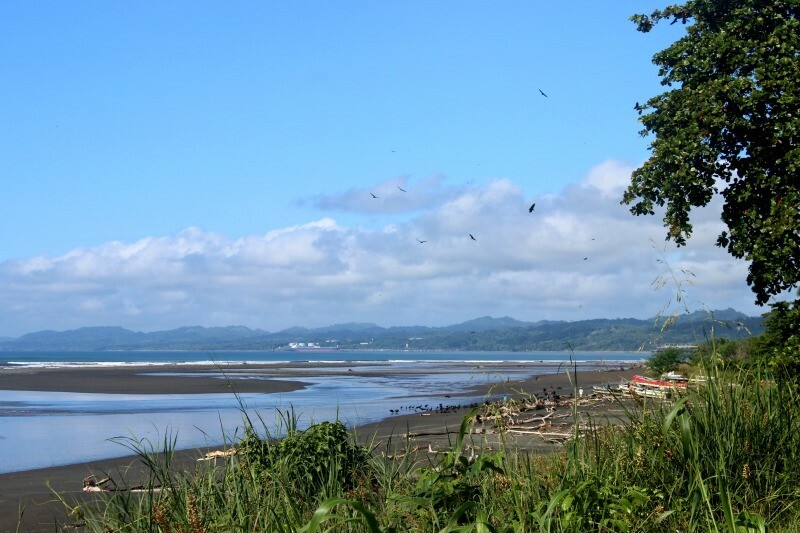 Check out the property, Puerto Armuelles, and Panama. This is the only way you will ever find out if Puerto Armuelles is a good fit for you. Please try to give me a heads up about when you are coming to Puerto Armuelles. That way we can set aside some out time to meet you. We enjoy giving people tours of our property and of Puerto Armuelles. We love Puerto Armuelles. You may find that you love it too. 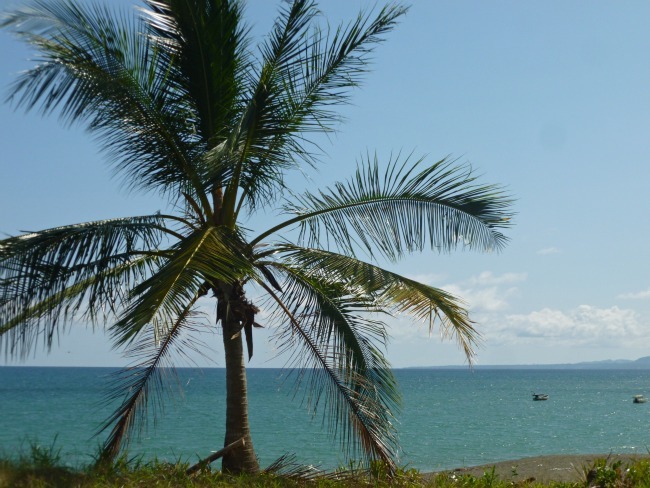 1) When you buy one of our properties, we will pay for the airfare you spent to get to Panama. 2) We offer to finance our properties. Since it can be time-consuming for foreigners to qualify for a bank mortgage this is a great perk. Click to see the details. Discover 10 reasons to buy from us. Even if you don’t buy a property from us, we are always available to answer your questions. 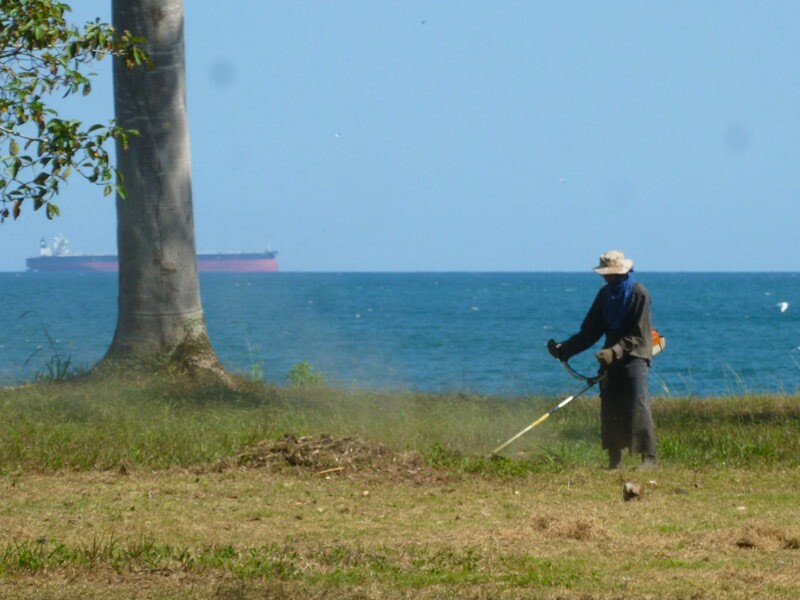 For details on how to buy property in Panama, go here. Hi again, which of these lots are still available ? 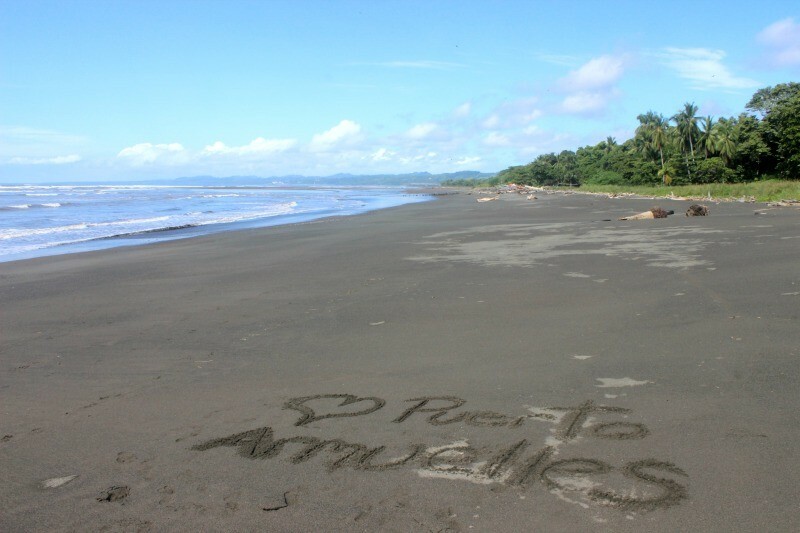 We will be visiting Puerto Armuelles on March 31st and April 1st. Has anyone started building in this beach community that we can email regarding travel to and from the United states as they build their dream home? What are the financing options available. I was stationed in Panama in the 1990’s and plan on retiring there within the next 10 yrs.